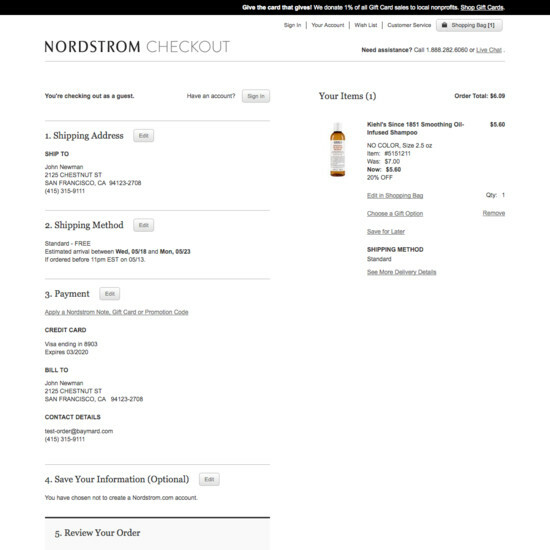 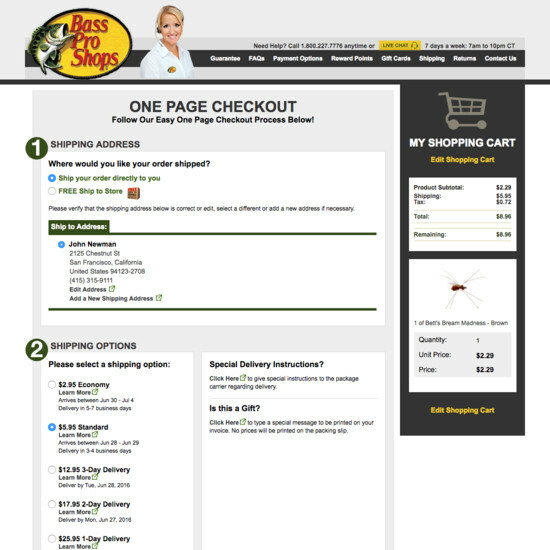 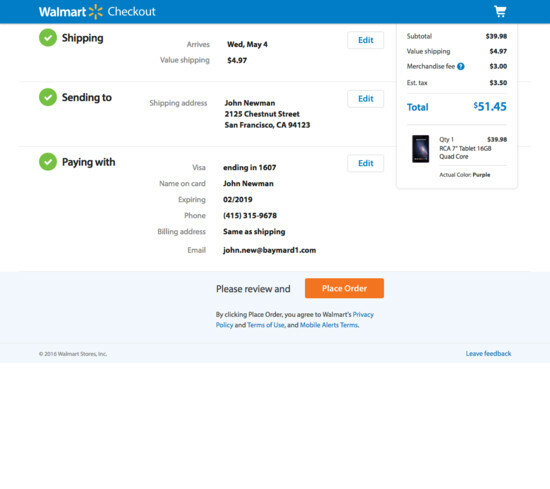 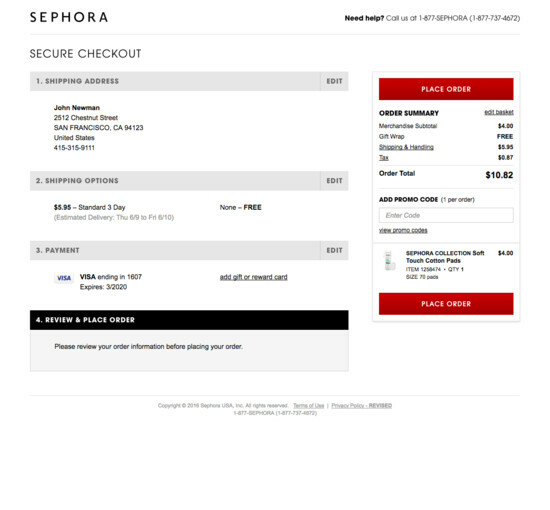 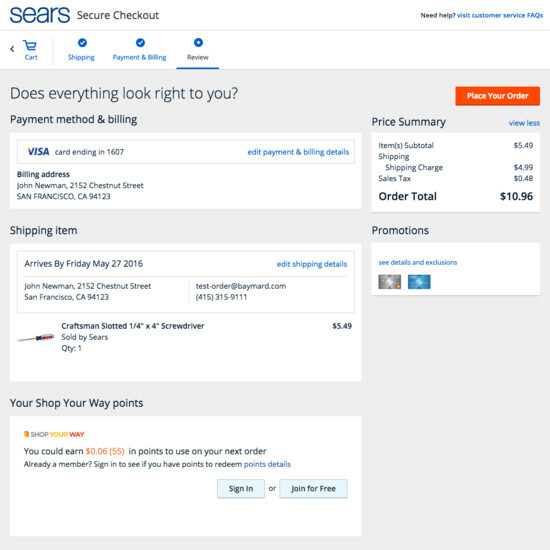 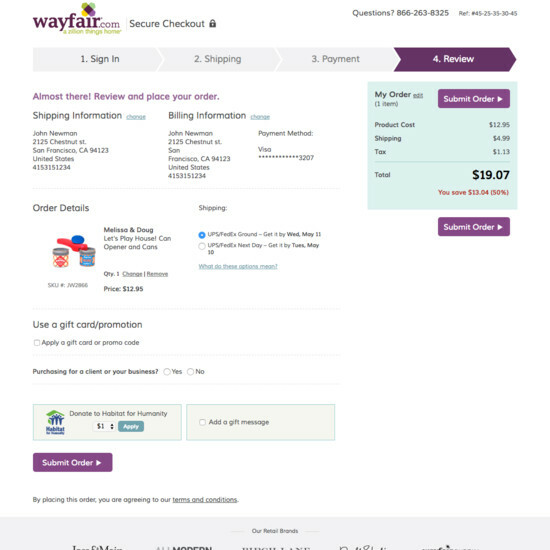 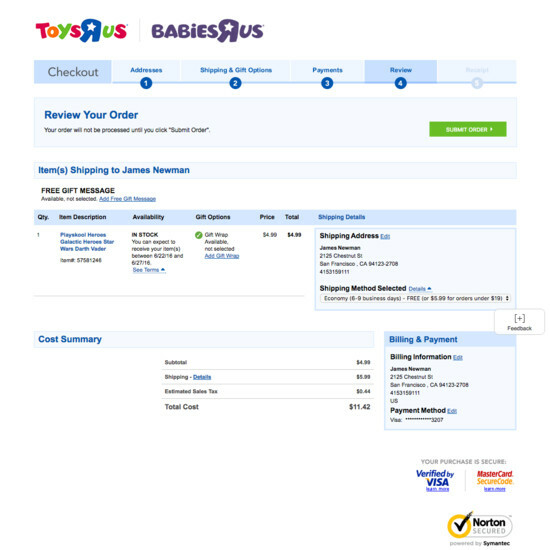 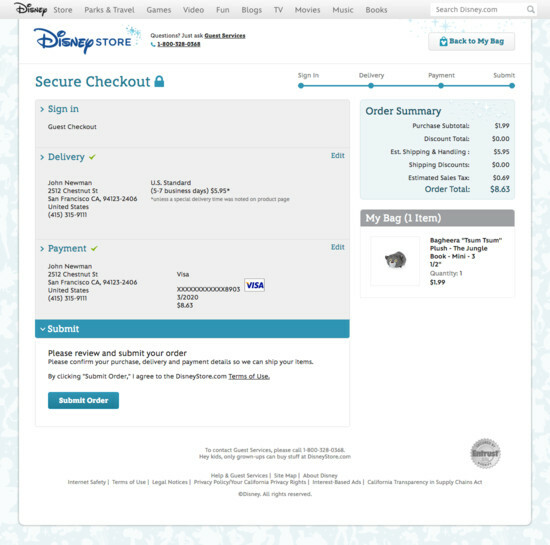 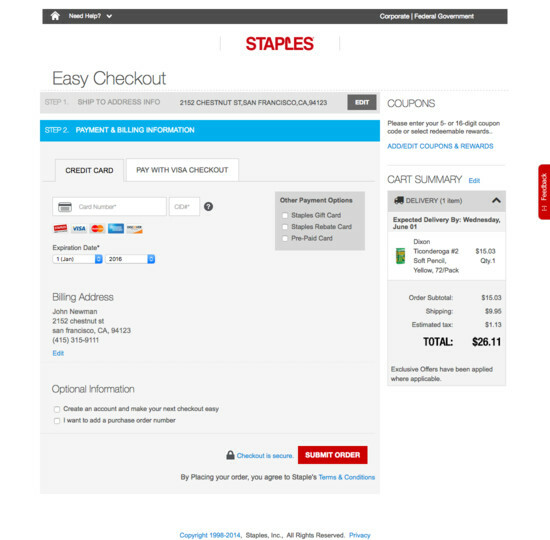 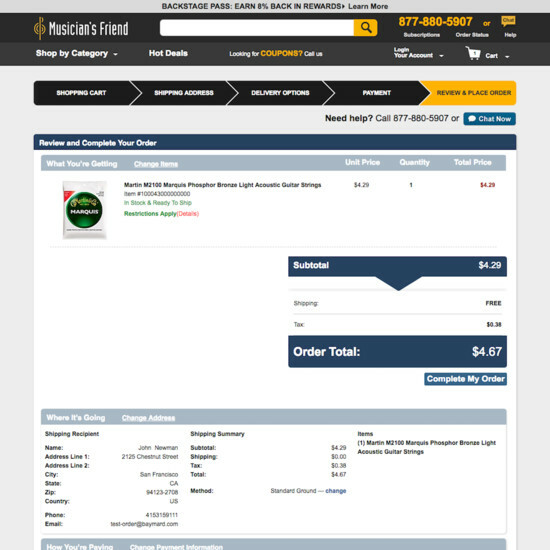 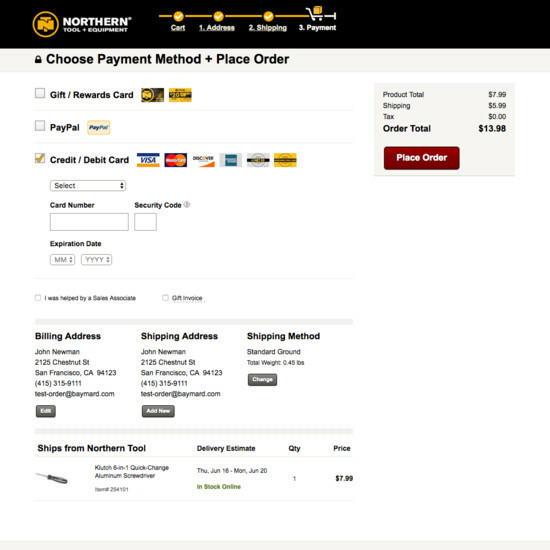 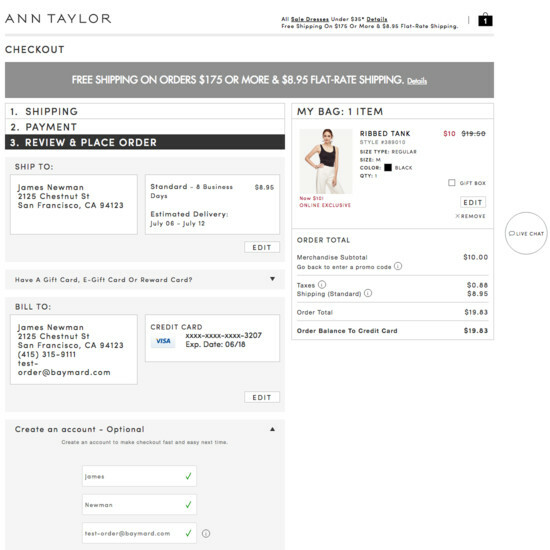 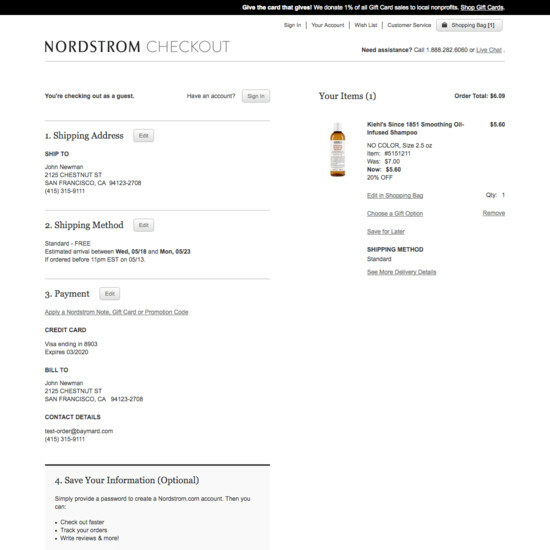 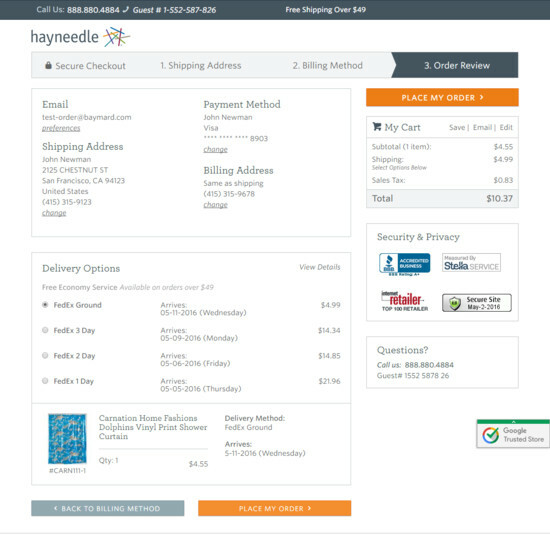 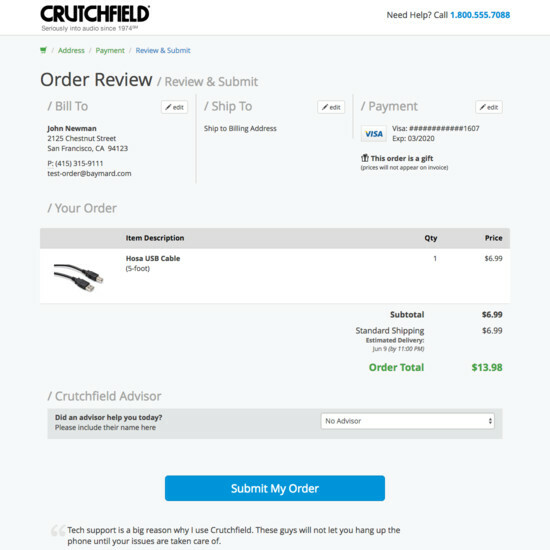 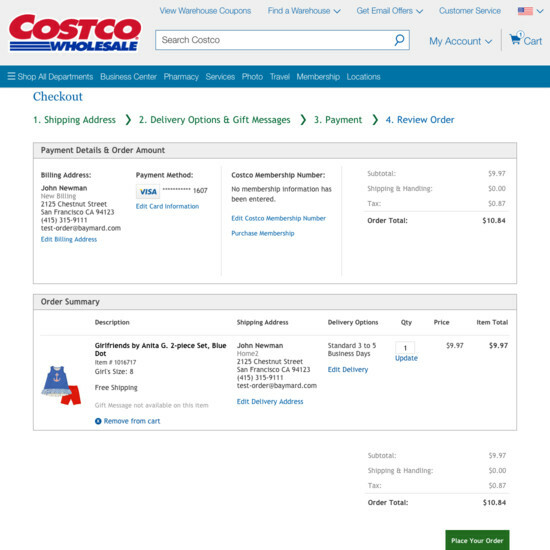 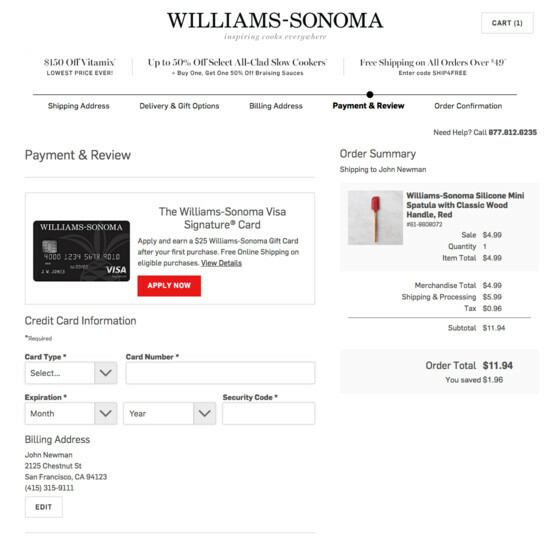 Nothing is final before users confirm the order — all prior attempts to create user-friendly checkout steps have been in vain if users do not correctly understand and use the review step. 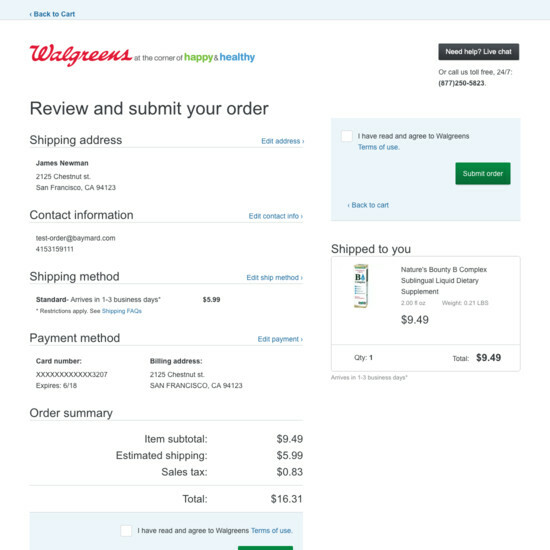 Indeed during our testing we consistently observe that some users abandon here — and very often solely caused by the design and flow of the review step. 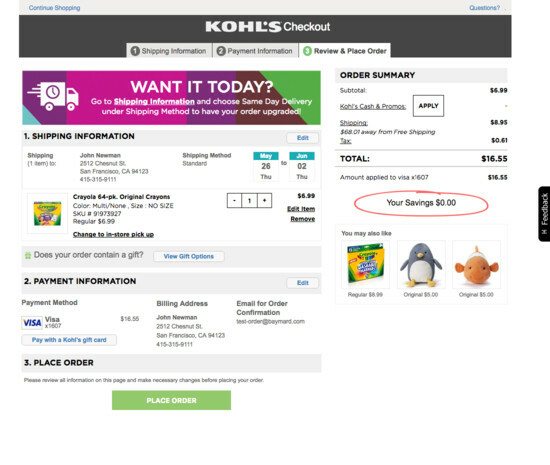 One Order Review aspect that causes issues for many sites is the user’s “editing experience”. 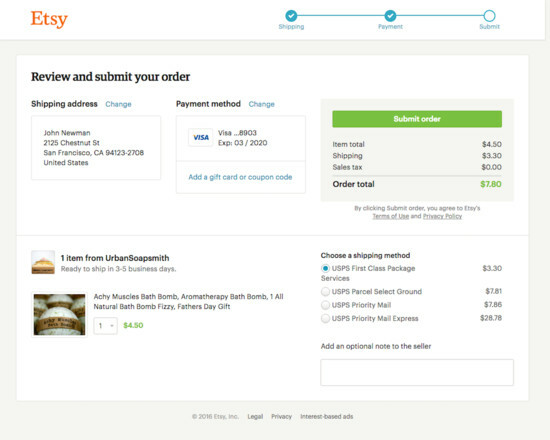 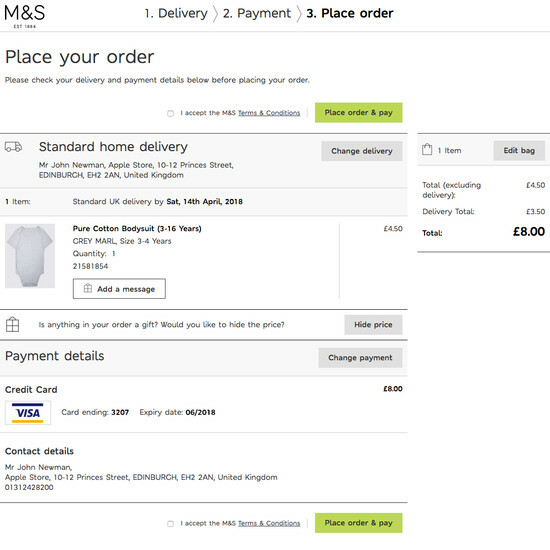 For example, 68% of sites send users backward in the checkout flow if they want to edit information at the review step — something that we during usability testing observed to be highly problematic. 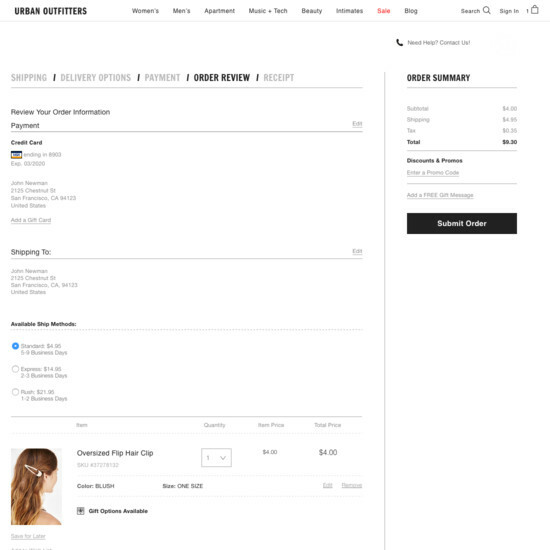 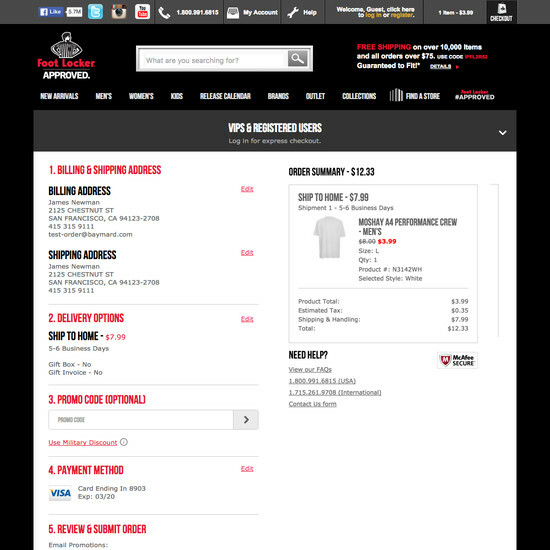 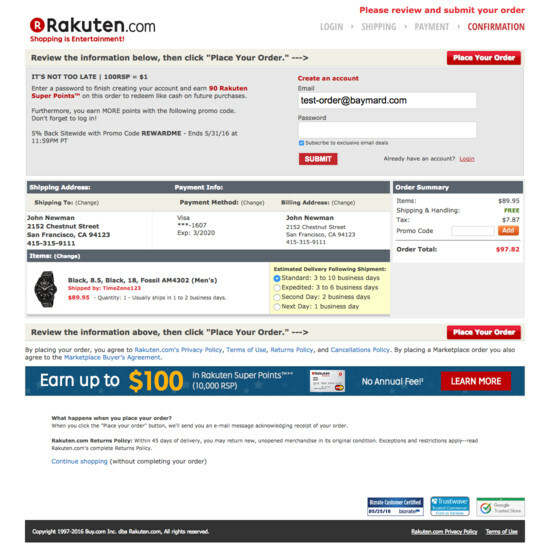 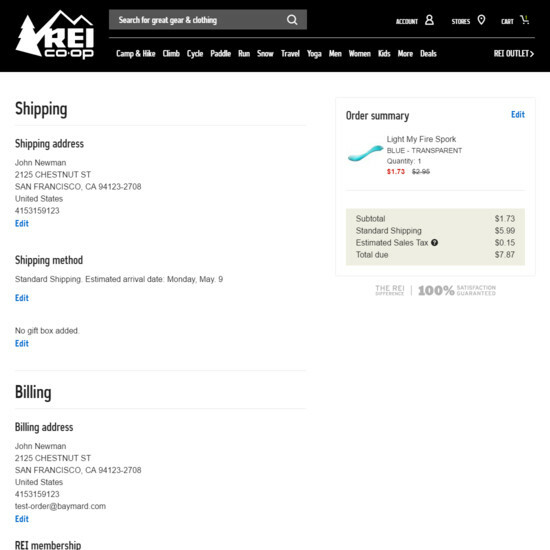 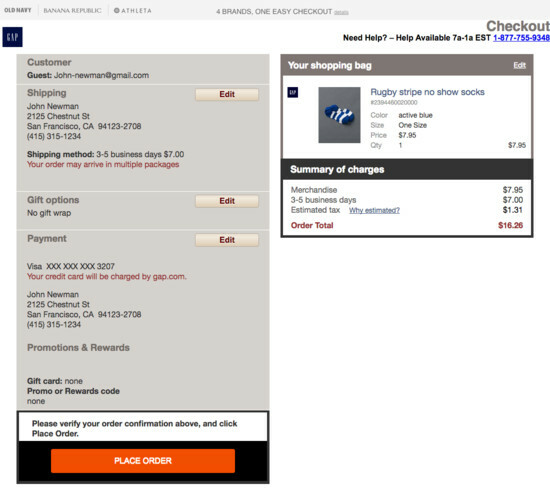 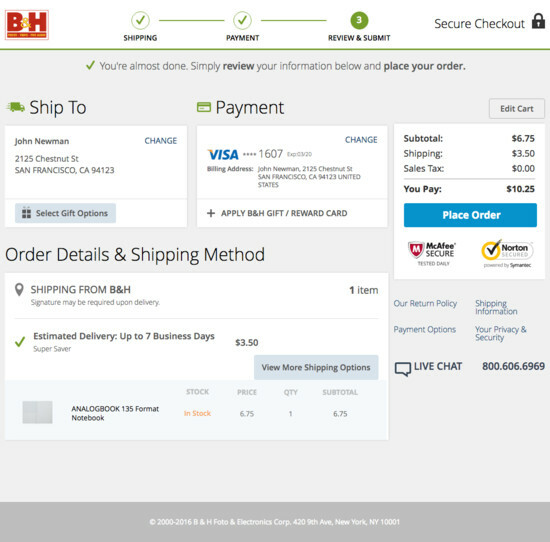 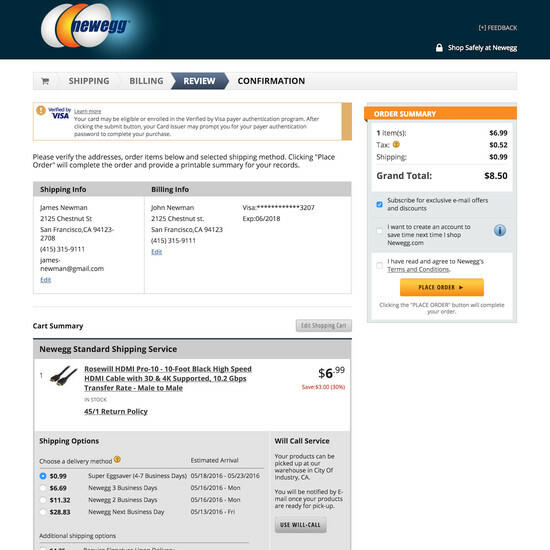 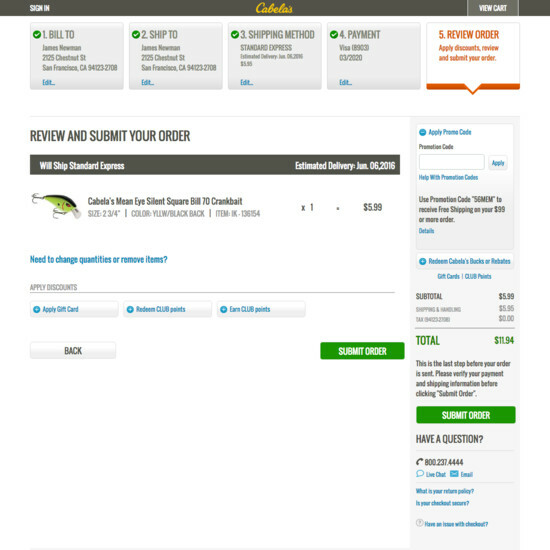 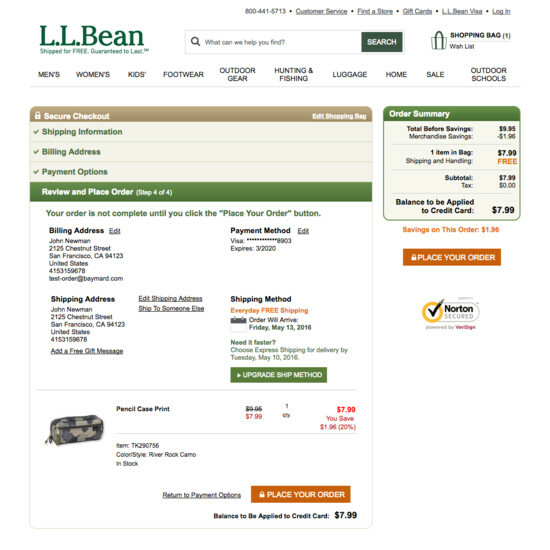 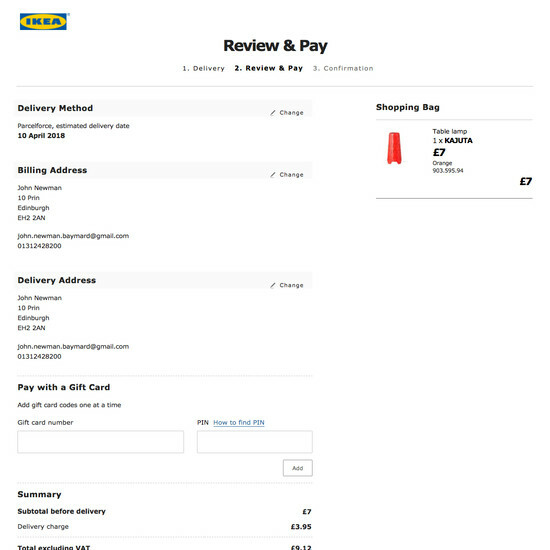 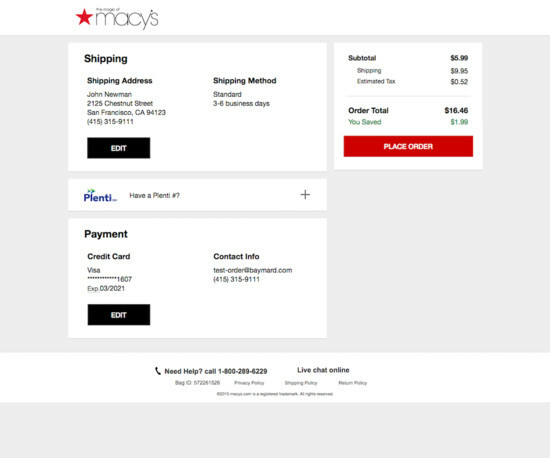 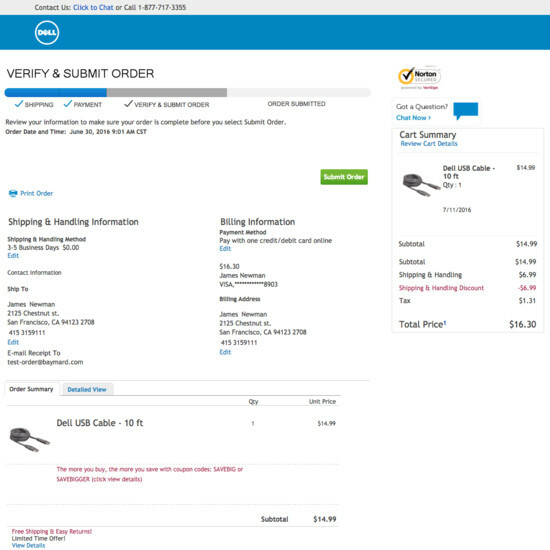 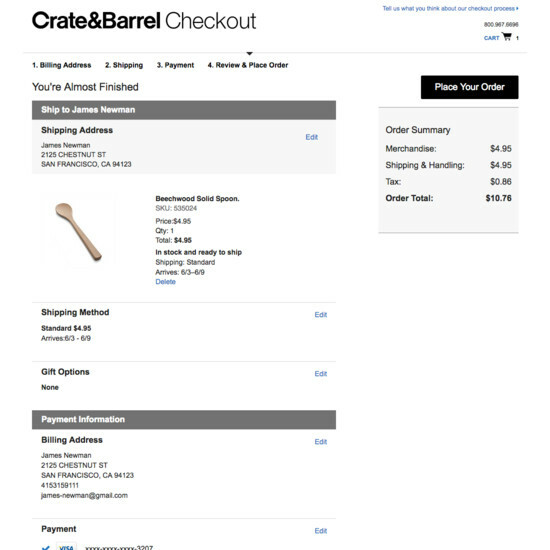 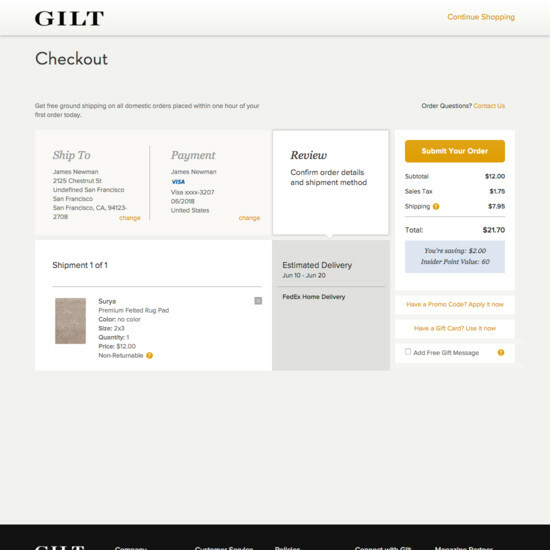 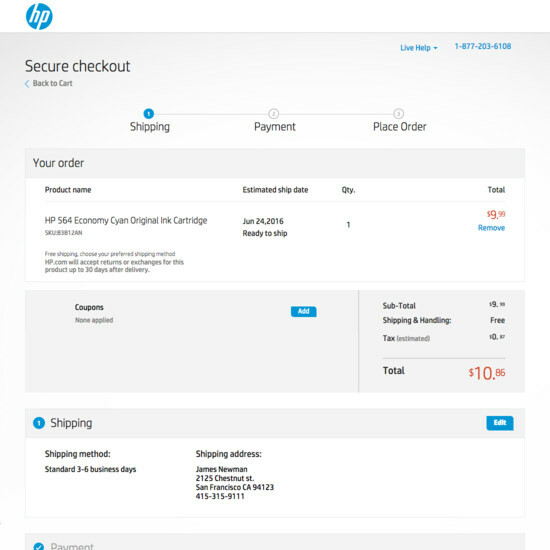 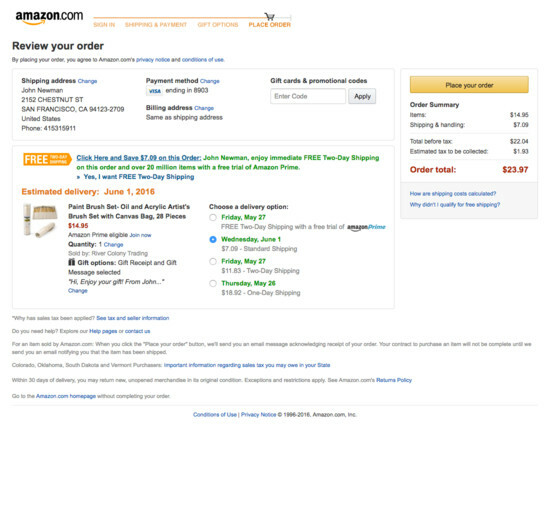 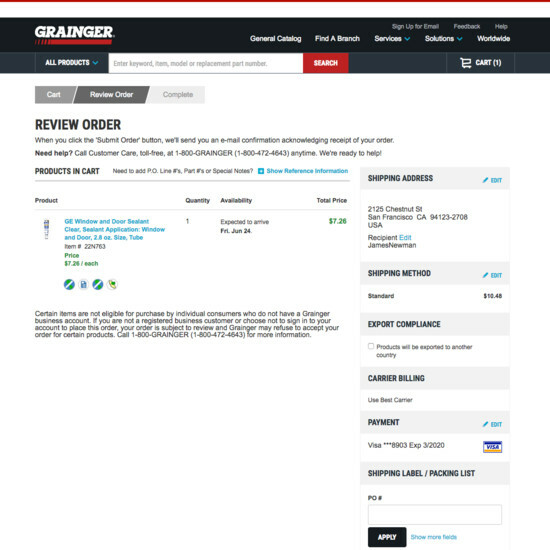 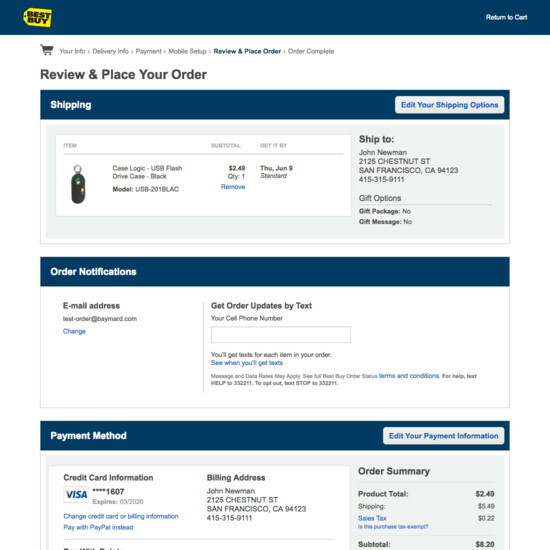 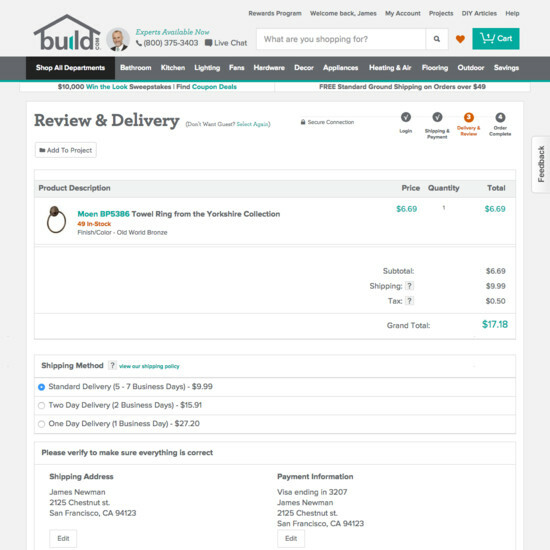 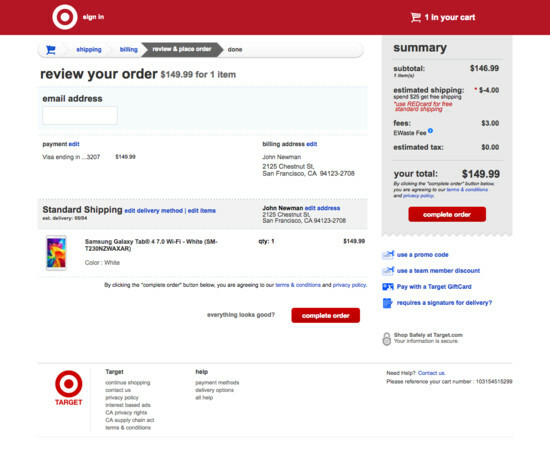 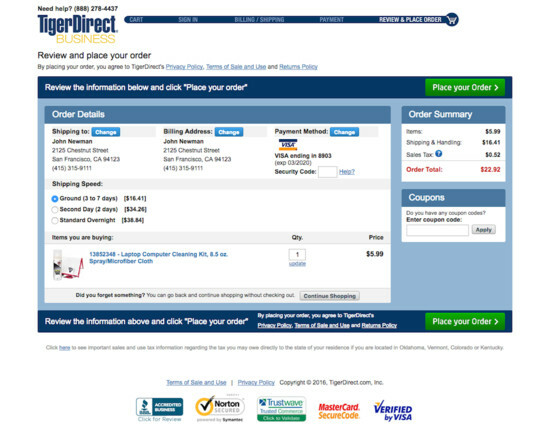 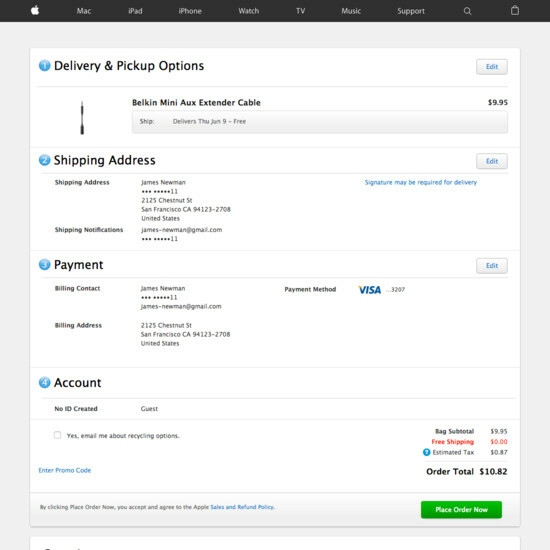 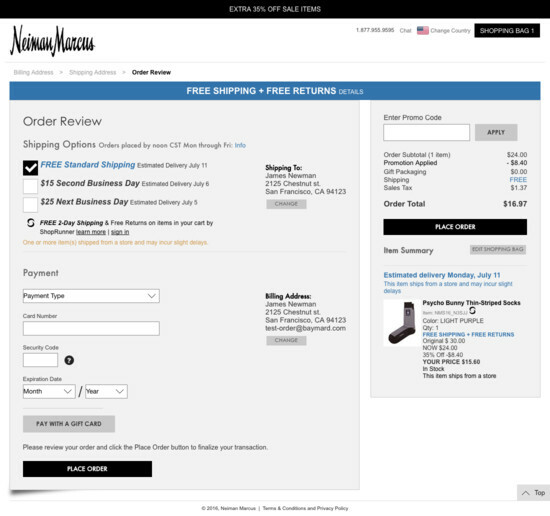 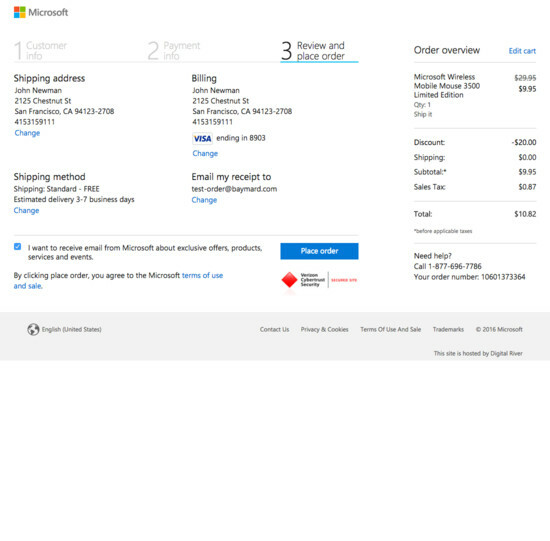 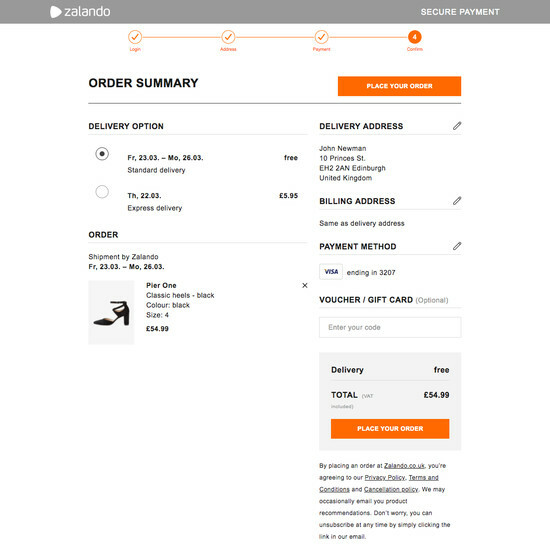 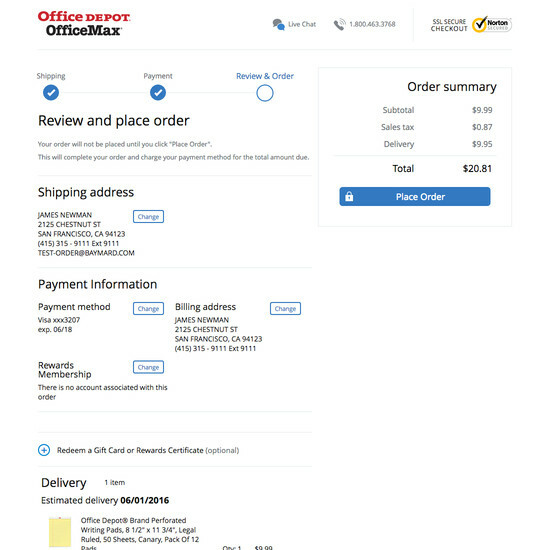 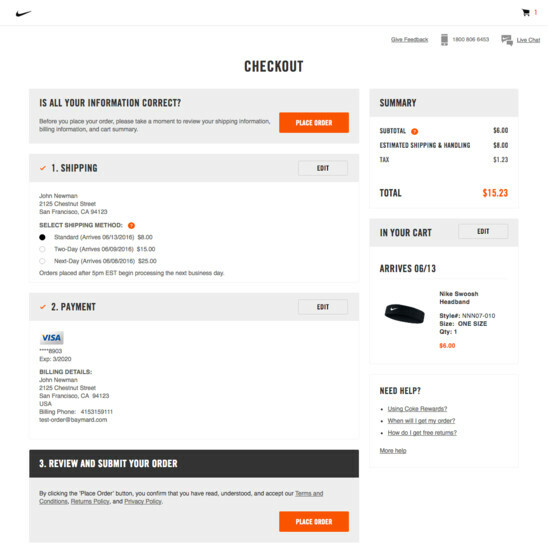 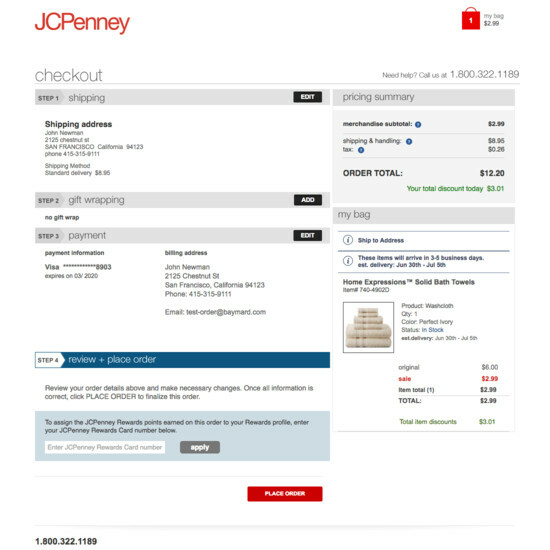 Another grave issue observed in testing is that some Order Review page designs are prone to be mistaken for an “Order Confirmation” page; thinking their order is placed users then close the page (unwillingly abandoning the order). 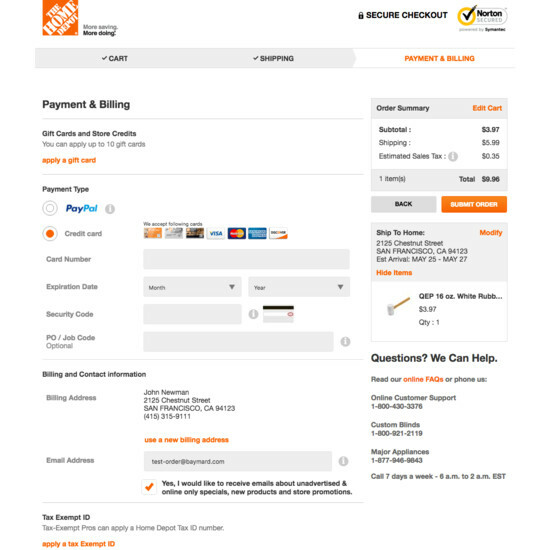 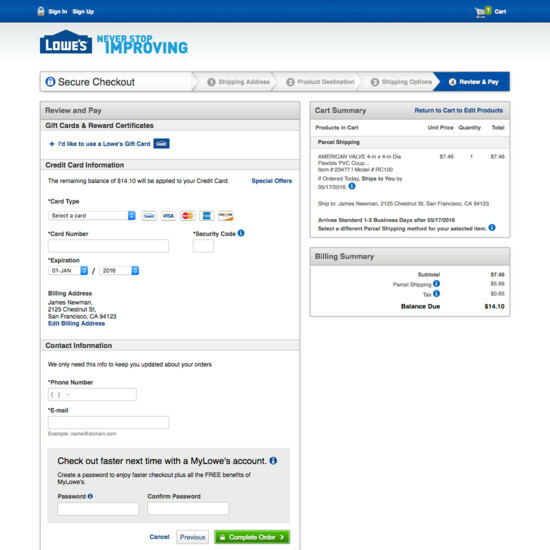 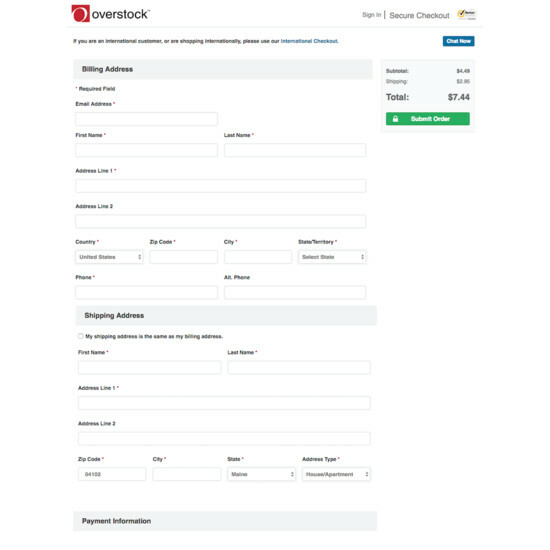 Learn More: Besides exploring the 54 “Order Review” design examples below, you may also want to read our related article “Offer ‘Delayed Account Creation’ at the Confirmation Step – 38% Don’t”.